The Urban Dictionary, which helpfully defines “freep” for those of you too young to know the term, has had it’s definition of “mansplaining” hijacked by misogynists. I suggest that readers go and help correct this via down-voting and up-voting relevant entries. If you think that this is silly, I’ll note that I have it on good authority that tweens sometimes get their understanding of terminology from that site. Hell, I frequently get my understanding of terminology from that site, and I’m seriously old. I never had bothered to scroll down through many of the posted alternative definitions, though, until just now in this case. The amazing stupidity! She (horrified and rabid): STOP MANSPLAINING TO MEEE!!!! Here, let me mansplain “mansplaining” for you. Much like transgender people springing the “DID YOU JUST ASSUME MY GENDER?? ?” trap on helpless, well-meaning cishets, thereby destroying their reputation with impunity, women asking specific questions of men and then denouncing them as mansplainers for trying to answer is a thing that definitely happens all the time. I missed that EH’s comment was evidently (I hope) sarcasm. ??? Even before this, it was already clear that Urban Dictionary was very noisy, much less well maintained than Wikipedia. I’m surprised on reflection not to have heard of attacks like this before. But I have cast some appropriate votes. much less well maintained than Wikipedia. Not, alas, a particularly high bar (except perhaps in the case of topics that are both anodyne and such that they do not inspire ignorant armies of monomaniacs to clash by night). These days, Wikipedia is actually a bit too well-maintained. It was better when you could pretty much make any good-faith edit you wanted than now when it can take pages of bureaucratic arguments to change an adjective. Anybody interested in trying these out? An inquiring dumbass wants to know. You’re an nice guy and all, and reasonably cute, but no thank you. Not interested at all, thank you. yeah, hey, thanks sooooooooooooo much for that! I was just getting ready to go grocery shopping, it will now have to wait until after I’ve finished bleaching my brain. I do sort of want to try typewritering an ear of corn with a power-drill like the guy in the second gif. Oops, not typewritering. I don’t know the term for the way to eat an ear of corn other than typewritering. 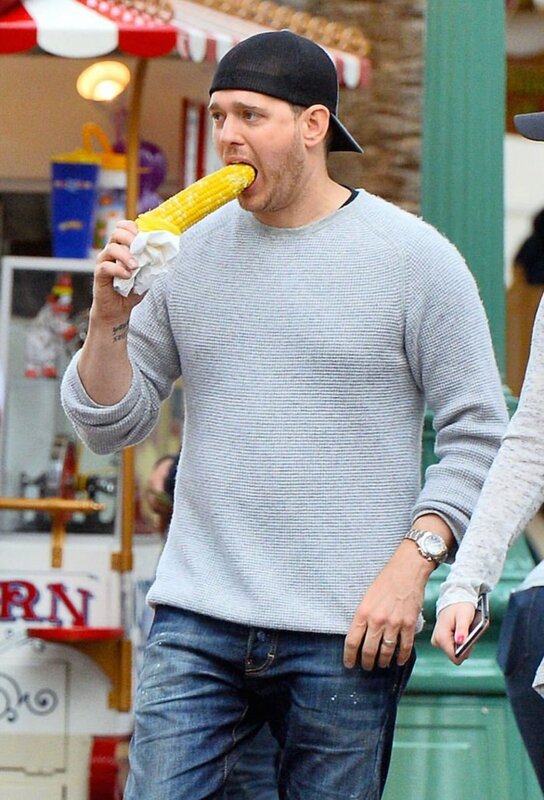 I don’t know the term for the way to eat an ear of corn other than typewritering. Does the Urban Dictionary define “FYWP”? In my family we would call eating corn in-the-way-other-than-typewriting “an abomination” or “get out” but that seemed, you know, judgey? Not that anyone would do that. “Place your nuts in a bowl of warm water. Then have a girl put a straw into the bowl and blow bubbles under your balls. …and what do they call it if you’re using your own straw? And, as it often happens, knowyourmeme’s entry is better than either wikipedia’s entry or urbandictionary’s. Surprising, given that KYM tilts pretty far to the right, but you’re not wrong. I’ve duly down voted it. I have to say that it reads like a parody definition – if you see the word, you know it can’t mean what the definition says. The point isn’t accuracy but just to leave a stink behind. Wait–feed the rich to the men and then kill the men. I have solved yesterday’s problem. Well, if men are literally toxic – which does seem to be the case – then feeding the men to the rich would accomplish both goals at once! Your solution works too, but seems to involve more effort. I’m not sure that Abbey would view it as work, but as fun, if intense, exercise. Who among us has not appreciated the nice, clean sound of the guillotine descending on its just path? I seem to recall a debate once about which would be best- herding the offenders off a cliff or using the guillotine. Your revision of Abby’s proposal feels just like the end of that discussion- you have once again invented the cliffotine! The only freep I know is Fearless Freep, the high diver that didn’t show up and thus doomed Bugs Bunny and Yosemite Sam to another humorous conflict. What kind of water is a mansplainer’s favorite to drink? Imagine being owned online by teen girls so badly that all you can do is run off to Urban Dictionary and write a definition vindicating yourself.